LESS is a CSS preprocessor, which is gaining increasing popularity among web designers and developers due to its extensive features and ease of usage. LESS CSS preprocessor offers a wide-ranging features that include variables, nesting, mixins, operators and functions. These robust features allow web designers/developers to create Cascading Style Sheets (CSS) that are easy to customize, maintain and extend. The LESS CSS preprocessor runs inside a Node within the web browser and inside Rhino. A variety of third party tools are available that allow web designers/developers to compile their LESS files and preview changes. LESS preprocessor offers added advantages over traditional CSS by providing additional syntax that help web designers/developers reduce repetitive coding. LESS offers higher-level style syntax, which allows web designers/developers to create advanced CSS. LESS preprocessor easily compiles into standard CSS, before the web browser starts rendering a web page. Compiled CSS files can be easily uploaded to a production web server. Unlike conventional CSS, LESS preprocessor behaves much more like a programming language. LESS is highly dynamic in nature, so don’t be surprised, if you find certain programming terminologies like variables, operation, scope etc., as we progress ahead with this blog. Although, there are multiple CSS preprocessors available in the market, most of the web designers/developers prefer using LESS, as it allows real-time compilation via LESS.js using a standard web browser. A major disadvantage in CSS is that we cannot specify any variables, which limits reusability. However, LESS CSS preprocessor allows reusability of variables throughout a style sheet (once these have been defined at the beginning of a file), which saves considerable time and reduces the amount of coding. In CSS there are certain common attributes such as border thickness, colors and other appearances that a web designer/developer craves to use on multiple occasions. A major drawback in CSS is that designers/developers cannot define and reuse common style rules. Whereas in LESS, classes and objects can be defined and reused throughout the style sheets (on multiple occasions). Any web designer/developer would love to reuse common style rules, as it saves considerable time and reduces code duplication. CSS lacks features to make minor adjustments by customizing style rules with differing values, e.g. If there are rounded corners on certain DIV elements, but a designer/developer prefers using a varying/differing radius across the website, then they have to define individual CSS style rules for each of these classes. In LESS CSS preprocessor style rules can be defined at the beginning of a file and values can be passed to change the radius, which makes the job fairly easy for a web designer/developer. No built-in function available to perform calculations on the go. However, LESS CSS preprocessor offers functions to perform mathematical calculations or other type of calculations depending on the needs of a designer/developer. CSS syntax can turn pretty unruly for non-trivial (when building a large website) sites and styles. Whereas in LESS preprocessor, CSS can be organized into reusable objects and classes, which allows web designers/developers to group their styles and track them effectively. By analyzing the above advantages, we can conclude that using LESS CSS preprocessor a lot of limitations that arise out of CSS usage can be transcended. LESS preprocessor has gained a lot of ground lately and is becoming an extremely popular choice among web designers/developers. It is definitely going to change the way websites are built and maintained, it certainly has reduced a lot of manual effort required to maintain websites. In the next few weeks, I would be writing a series of blog posts covering various aspects of LESS CSS Preprocessor, so readers watch out for my next post. Basha is a Practice Lead, UI/UX/MEAN/MERN at Evoke Technologies. 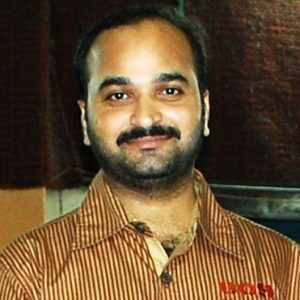 He has more than 16+ years of experience in web design and development. He has extensive experience in building Websites, Portals, Web Applications, Mobile Apps, various Web Scripting Technologies, Web Standards and Project Management.